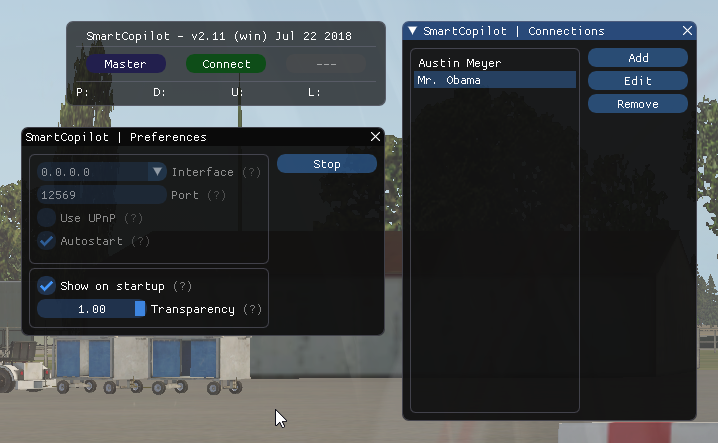 Starting from version 2.11 SmartCopilot plugin will contain a new GUI. What does it mean? We use “dear imgui” drawing library internally which gives a bunch of nice features and widgets. Read more about the library here. It is a very experimental release: if we found some compatibility problems we will go back to native X-Plane GUI. If everything goes well we plan to make imgui X-Plane port open source. Make the plugin almost invisible and still have a possibility to control it! Following many user requests who likes to have a clean X-Plane window for screenshots, we created a minimized version of the main overlay window. You can switch between two versions by simply double-clicking on it. You can also control a transparency from Setup dialog. If you have issues with the plugin or you have some nice ideas to discuss, please post your comments here.